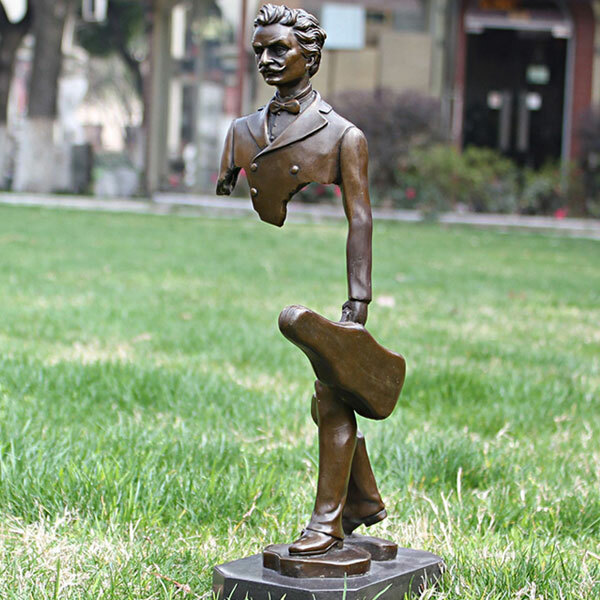 You Fine specialized in offering all kinds of large bronze statue,life size bronze sculpture,angel statue,outdoor bronze statues with high quality and affordable price. 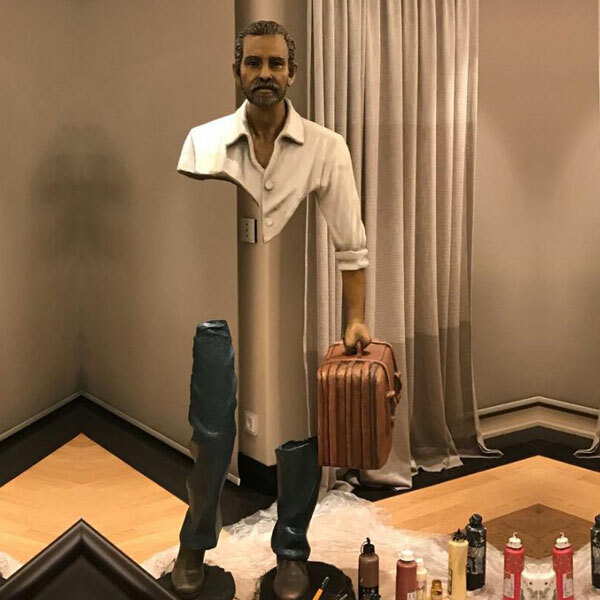 Also including custom-made service. 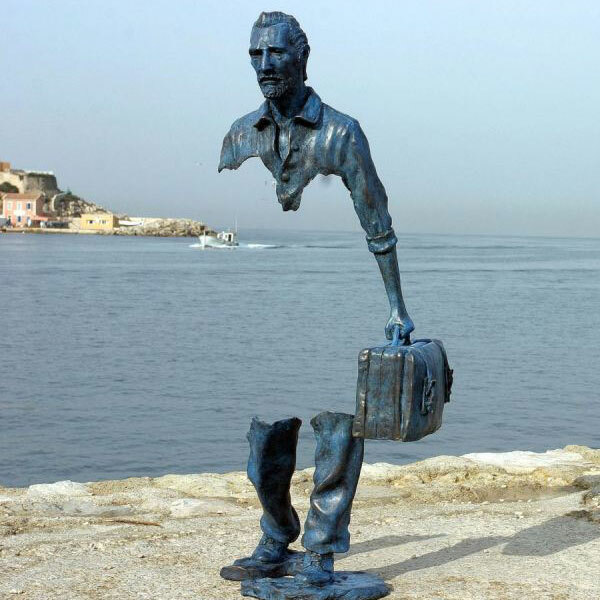 Distinguished Bruno Catalano replica outdoor abstract bronze traveler sculpture. 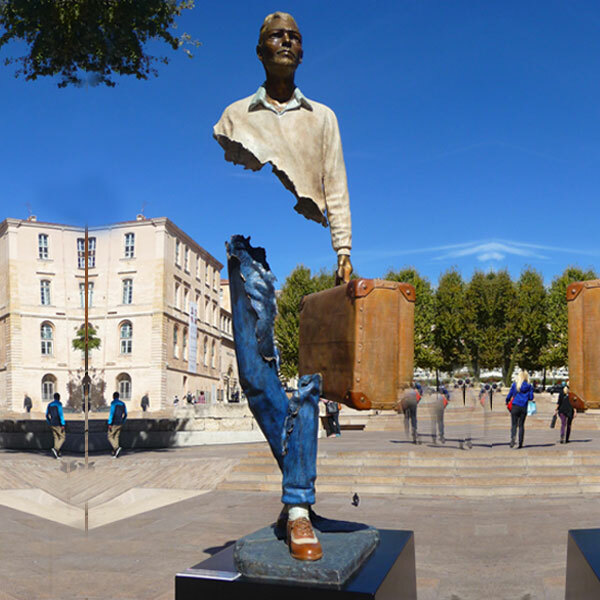 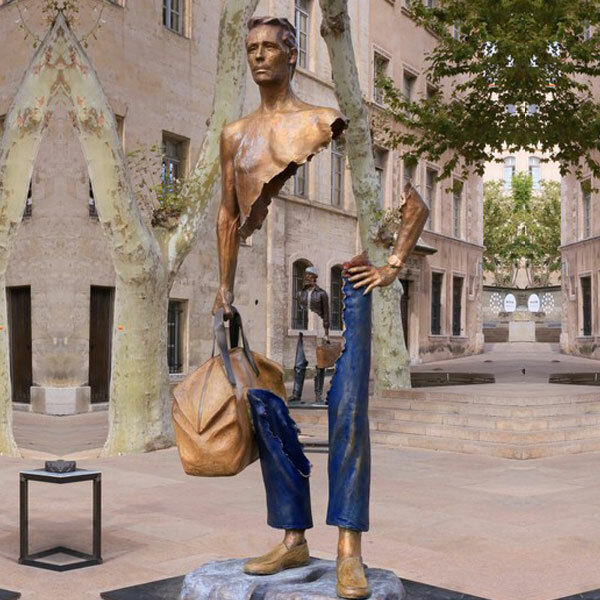 The French artist Bruno Catalano created a series of high-profile bronze sculptures called Les Voyageurs in Marseille, depicting most of the physically frustrated human workers. 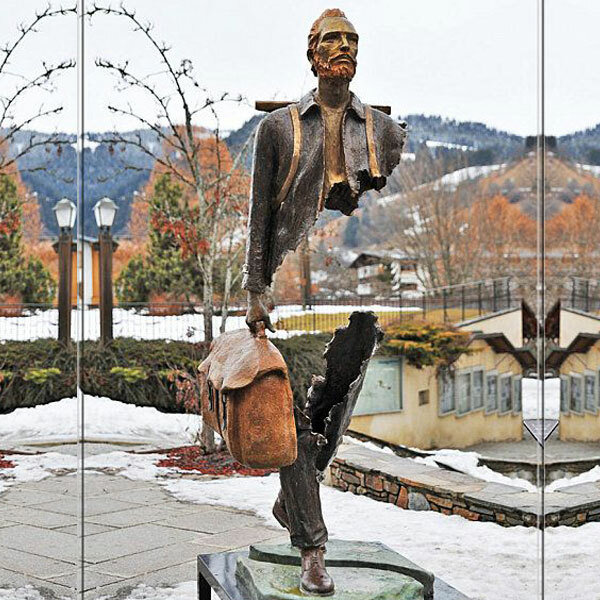 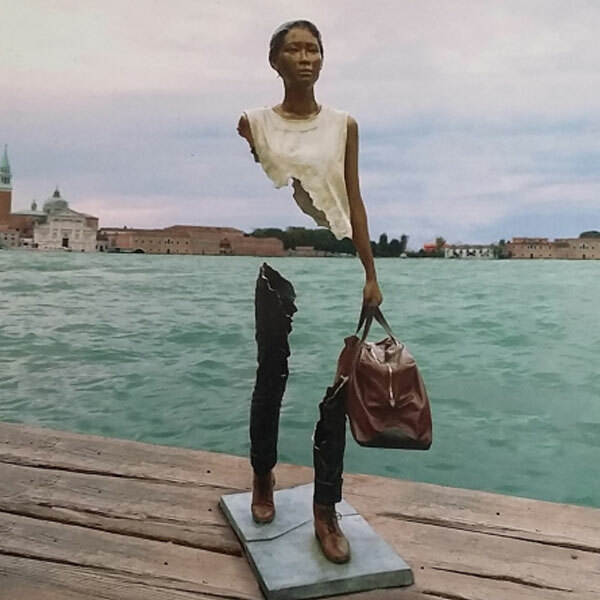 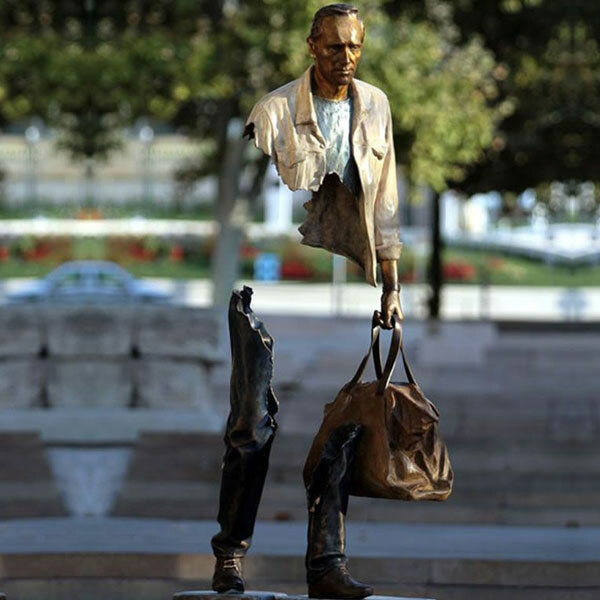 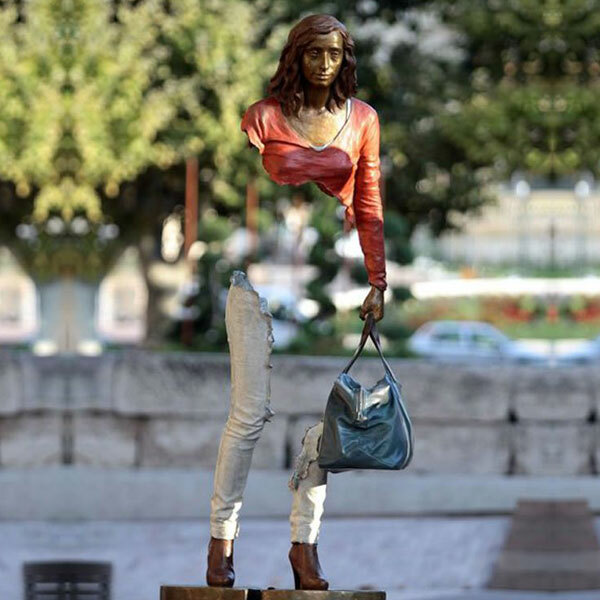 These few examples of the sculptures of Bruno Catalano exhibit the skill of execution and gravity-defying fragility that are so powerful. 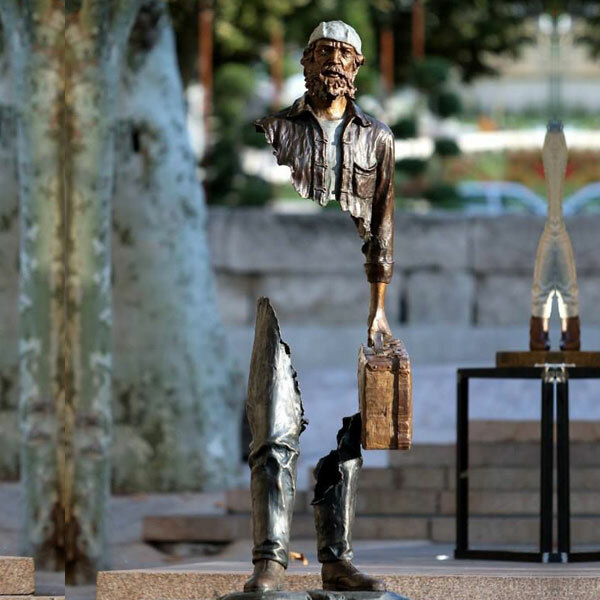 The unique sculptural execution draws the audience in with the large amounts of negative space and expressive subjects. 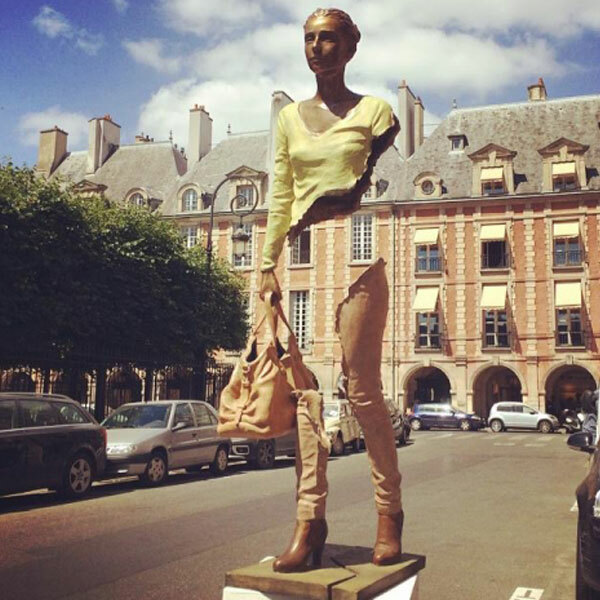 white stag statue for sale large outdoor deer statues; … Famous Bruno Catalano Bronze Traveller Sculpture. 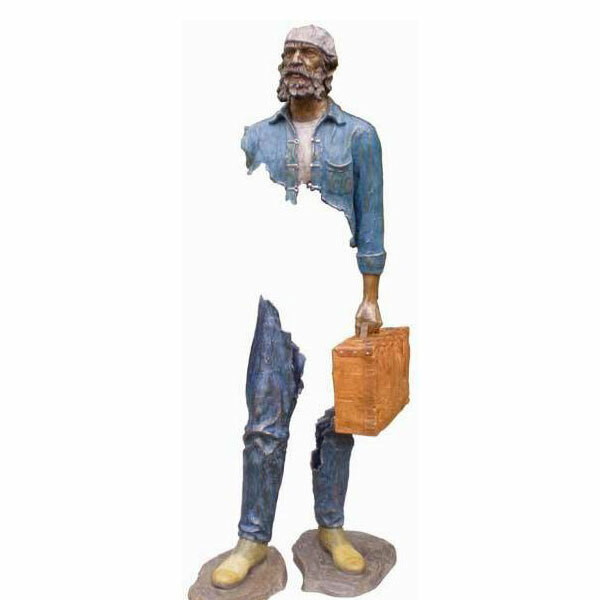 Item No:BOK-03 Size：H78”or Customized Size.